This year, we are excited to be celebrating Halloween on a Saturday. For most families, that means the normal routine of rushing home from work, flying through a drive thru, and heading out to trick or treat (knowing you have to be up early again) won’t be an issue. They will get to enjoy a full day of fun together instead! But, what do you spend all day doing if you’ve already visited the farms, carved pumpkins, enjoyed some Fall treats, watched the movies, and picked out costumes? Well, here are three fun and easy crafts perfect for Halloween day! Help your little paint the outline of a candy corn onto the black construction paper. While the paint dries, they can tear the white, yellow, and orange papers into small pieces. 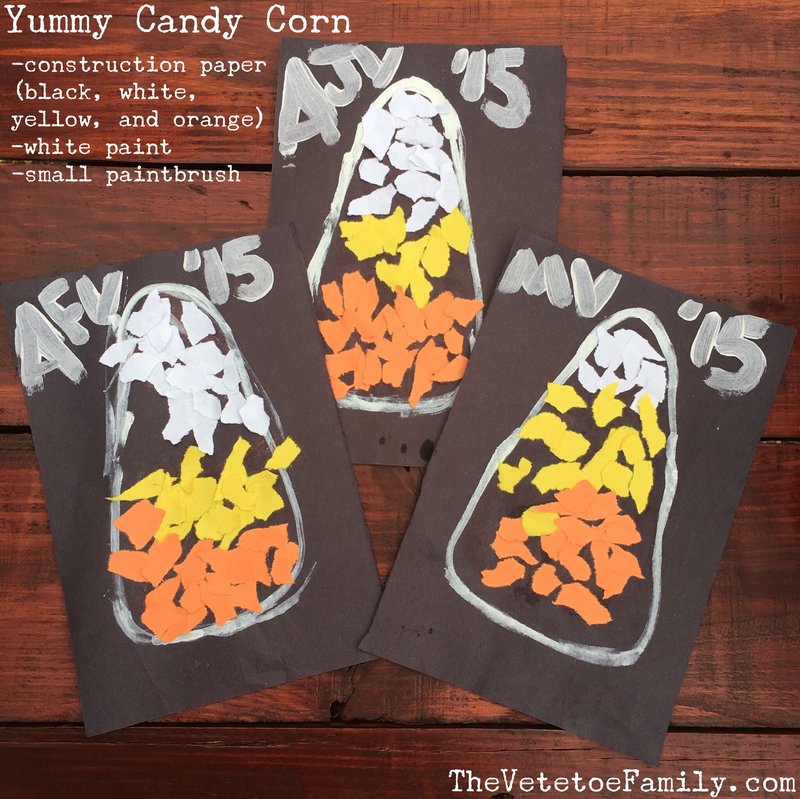 Apply glue and add the torn paper in the white, yellow, and orange pattern of a candy corn! Trace your child’s handprint onto the black construction paper using the pencil. Allow your child to cutout their handprints (assist as age appropriate) and then cut out circles for the body. Glue the handprints to the circles to make the wings and add two googley eyes! Apply green paint to the bottom of your child’s foot and help them make a footprint on the construction paper. Your can clean up the paint while the footprint is drying. Help your child draw on Frankenstein’s features and then add his crazy googley eyes! Now, go have some fun crafting while gearing up for a very Happy (spooky) Halloween! Previous articleLittle Passports Special Offer!